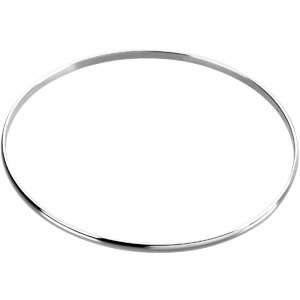 Classic bangle bracelet is made of polished, solid sterling silver. Item measures 2.5mm wide. Weight: 5.90 grams. One size fits most.